Dr Mah Boon Yih is a senior lecturer at Academy of Language Studies, UiTM Penang Branch. He holds three degrees: PhD (E-learning), MA (Applied Linguistics), and BAEd (Hons) in ELS. He completed his doctoral study in 2015 at Centre for Instructional Technology and Multimedia, USM, after receiving a scholarship from Ministry of Education Malaysia in 2011. Besides lecturing, supervising, and conducting research, he is also an author, editor, reviewer, keynote speaker, trainer, consultant, as well as technical and scientific committee member. As he has earned numerous awards and medals since 2009, he is included in Who's Who in Science and Engineering 2011-2012 & 2016-2017, Who's Who in Asia 2012, 2000 Outstanding Intellectuals of the 21st Century (7th and 9th Editions), Top 100 Educators 2012, Dictionary of International Biography (36th-38th Editions), Who's Who in the World 2013-2015, Top 100 Professionals 2015, Leading Educators of the World 2015, World Education Congress Global Awards 2016: Education Leadership Award (for Excellence in Education, Leadership & Teaching), and Rector’s Special Award 2017. 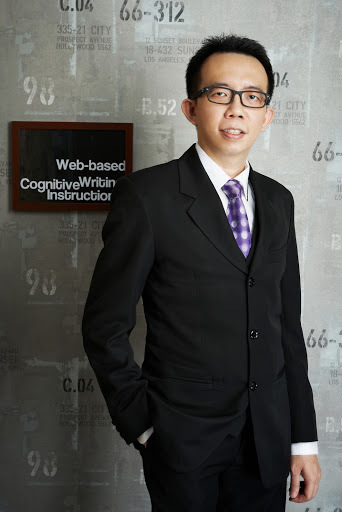 As the outcome of his doctoral thesis, Dr Mah has become the founder of Web-based Cognitive Writing Instruction or WeCWI: an award-winning hybrid e-framework for instructional design and language development. WeCWI was officially launched in The Digital Education Show Asia 2014 on 27 May 2014. In the same year, it was also featured in #DoMoreLah4Malaysia campaign organised by MDeC. WeCWI was first ever published by WASET in International Journal of Social, Behavioural, Educational, Economic, Business and Industrial Engineering in 2014 and presented as keynote addresses in ICELD 2014, ICLLT 2015, ICLEI 2016, ICLLCE 2016, and ICELD 2016. Between 2014 and 2016, WeCWI and its associates including WeCWI Integrated Solutions, WeCI, and WeCLI had been copyrighted by MyIPO with the support of UiTM. From 2014 till 2016, WeCWI has garnered four international awards. WeCWI received the PIID 2014 Silver Award, which was recognised as an innovative idea in ICT Category. In the following year, WeCWI was awarded a Silver Award in iidex 2015 as an innovative production in Arts and Applied Arts Category. In December 2015, a WeCWI’s consultancy project namely WeCWI Integrated Solutions was honoured a Gold Award in PECIPTA 2015 under Education and Human Development Cluster. Once again, WeCWI Integrated Solutions was awarded a Silver Award in ITEX 2016 on 14 May 2016 in Educational Items Category. After the participation in the EdTech Seminar 2016 entitled WeCWI: The Instructional and Technological Discoveries, 13 WeCWI-trained Instructors were born as the 1st cohort. At present, WeCWI is further extended in research studies and solutions driven consultancy namely WeCWI Integrated Solutions.